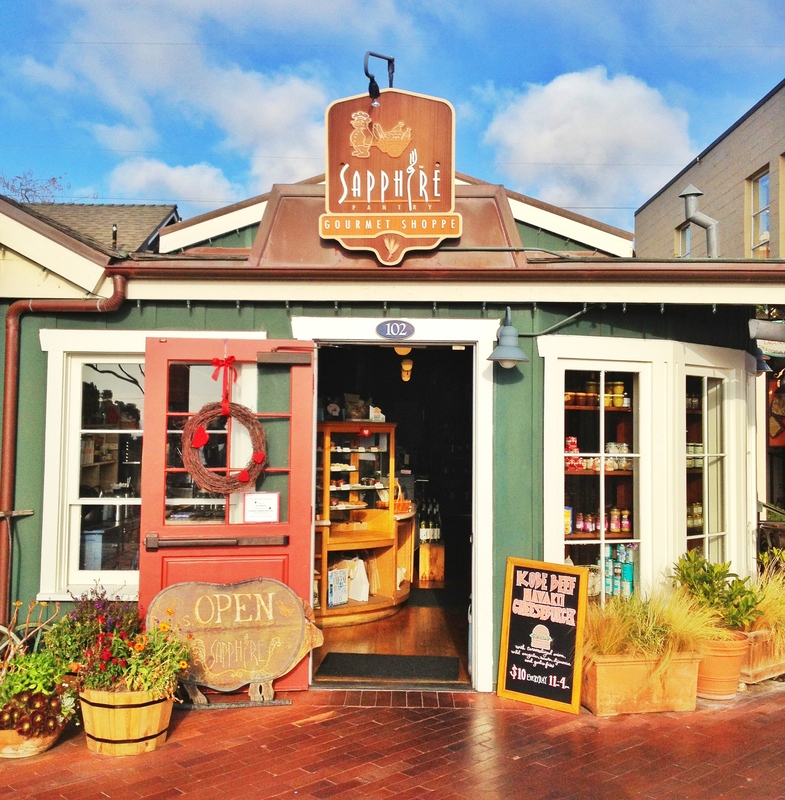 Offering a typical deli arrangement of coffee, marmalades, and cheeses, Sapphire Pantry also provides a plethora of pastries, ranging from freshly baked scones, to chocolate croissants. Yet we come here now, not to talk about the delicious treats. We come now, to talk about the burger meat! I say this without exaggeration: This is the best burger in Laguna Beach. Yes, better than Husky Boy, and better than Umami Burger. And the deal you see above, was fantastic. 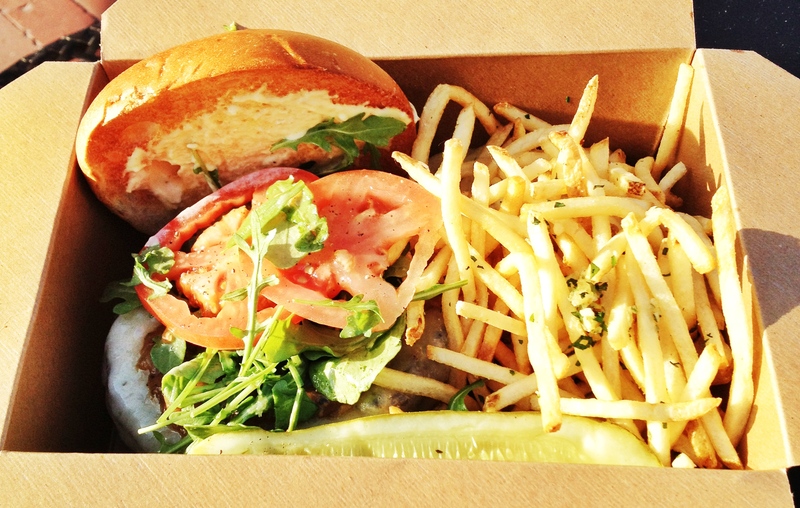 For $10.00-even, I received a great burger, that even came with garlic fries! The first thing you notice as the bite begins to infiltrate your mouth, is the dijon-naise. It figuratively smacks you in the jaw. From there, the taste centralizes on the softness of the bun; Buttered, yet stable, the bun served as a great surrounding for the rest of the ingredients. Now, in a sweet rush of flavor, the havarti cheese and onions have you thinking they were created by Jay-Z and Beyoncé, because together, they flowed oh so well. Then crushing in to lighten things up, were the fresh tomatoes and crisp baby spinach. But what was the best part? Cooked to a medium rare, while oozing proteins and butter, each taste had my hands going back for more, faster than I could physically move. However, as I went back, bite after bite, I kept thinking how much better this burger would be if the richness of all the ingredients were allowed to flourish. If instead of being a tyrant, the dijon-aioli would join the group and all become one. Because dijon is such a strong flavor, I would suggest the Pantry to do one of two things: 1. Use less dijon when creating the aioli; And/or 2. Instead of spreading the dijon-naise on both buns, just do one. These solutions would both contribute in being able to taste the other ingredients more fully. Luckily, this is a quick adjustment that can significantly increase the pleasure of this burger. Before I forget, let’s get to the fries for a second. As I had previously said, and you’ve previously read, the burger comes with absolutely delicious garlic fries. Although I could’ve used a bit more garlic on the potatoes, they were fried well and made a great burger companion. The dijon-naise aside, this burger satisfied both my stomach, as well as my wallet. A true bargain price, for a truly delicious burger. Is it one of the very best burgers in Orange County? No. But it is the best in Laguna Beach, and that says a little something, right? 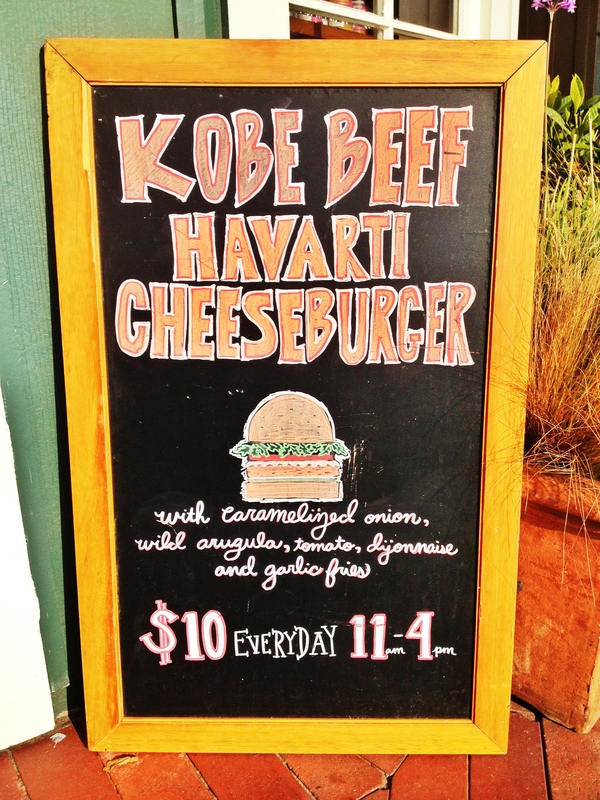 Therefore, landing at #15 on The Burger List, and #6 on the $10 & Over List: The Kobe Beef Havarti Cheeseburger at Sapphire Pantry, Laguna Beach. UPDATE 05/12/14: Being that I work down the street, I have come back several more times. And might I just say, I have had NO problem with the dijon aioli! Not sure if you were listening Sapphire, or if it is just divine intervention, but either way: This might be the best burger + fry deal in all of Orange County.